Care planning for your aging parents can be an emotional minefield. The people who have cared for you for much of your life now need care themselves. This can reopen childhood wounds, spur thoughts of your own mortality, and even be a source of resentment. Yet caregiving can also be profoundly rewarding. It’s a chance to give back to the parents who have given you so much. Or, if your relationship with your parents has always been conflicted—or downright problematic—caregiving may be a shot at redemption. You don’t have to do it all at once, and you don’t have to be perfect. You need only take it one day at a time. Here’s how to begin the care-planning process for your aging parents. The Boomer generation has made a difference in each market they have entered, and senior living is no exception. Thanks to Boomers being specific about what they want senior living to look like—active, healthy, and fun—senior living communities no longer feel like clinical settings. Instead, senior living communities are vibrant and beautiful, with amenities that many people only experience during expensive hotel stays. If it is time for you or your aging loved one to make a positive change in living arrangements, independent living is a wonderful option. Once you find the right fit, you will be surprised at the benefits you or your loved one will begin seeing right away. When you’re ready to make the shift to senior living—or to help someone you love make the transition—it’s easy to become overwhelmed by the options. Senior living has come a long way from the days of sterile nursing homes and quiet active living communities. Seniors now have virtually limitless options. But the vocabulary can be confusing, and choosing the right community for your needs can feel daunting. Here’s how to begin your search. As you enter retirement age, you may be wondering what all the hype is about senior living communities. You hear your friends talk about their community, or perhaps you have visited them there and are curious if a move might benefit you. Or perhaps you are concerned about your senior loved one, who is living with a chronic health condition that is difficult to manage. Increased pain or complicated medications can be frustrating to live with, especially if your loved one is living alone. You have wondered if a senior living community would be best for your loved one but are worried about bringing up the subject. 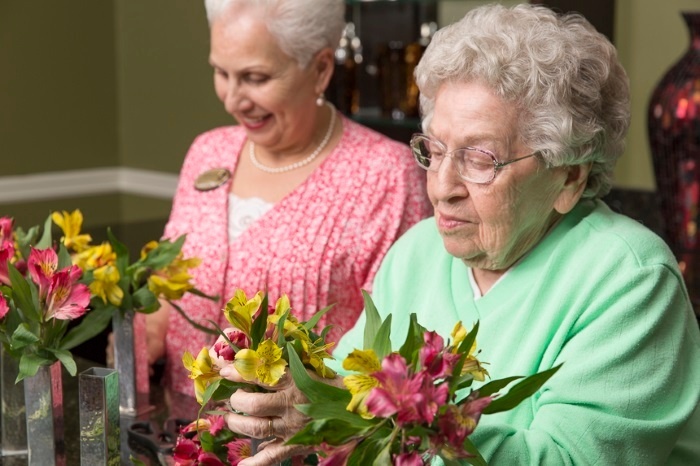 What Does Independent Senior Living Really Mean? Life is full of transitions and next chapters. Children grow up and start jobs or go to college. They get married, have kids of their own and may move. Transitions almost always offer new opportunities, but they can also be scary. That may be why many seniors are reluctant to transition from their current living arrangement into an independent living community. Just as you might have felt homesick your first night of college or anxious about getting married, it’s normal to be unsure about the next page of your life story. 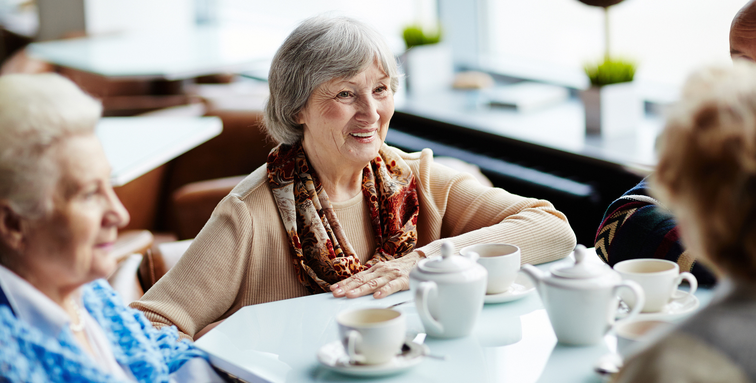 For many seniors, independent living offers a bridge to a vibrant community; new friendships; and many more years of learning, giving back to the community and connecting to others. Senior living isn’t what it used to be. Seniors now enjoy a range of options for an active next chapter of their lives, regardless of their health needs. Even seniors who require memory care or other forms of intensive support should expect active communities filled with engaging activities. If you’re ready to make the switch to a senior living community, choosing the right community for your needs, lifestyle, and personality is key. Here’s how to make the right choice. Our possessions are more than just inanimate objects. They tell stories about our lives and families. They’re sources of sentimental—or financial—value. So when packing for a senior living community, deciding what to take can be challenging. If you feel conflicted about the move, you might be tempted to take everything as a way to hold on to your old life. But this is just one more chapter in the grand adventure that is life. It’s a great chance to build a space that feels fully and uniquely you—without the demands of raising children, tending to pets, or catering to your family’s aesthetic preferences. Baby Boomers have been changing the world since they first came into it. As this influential generation moves into retirement, they are once again proving that the status quo will not do. The senior living industry has been working for decades to prepare for these active residents, and now that the Boomers are moving into senior living communities, we are watching as those communities transform into neighborhoods focused on wellness, socialization, and lifestyle. The best part of being a resident in an active senior living community? All of it. If you are considering moving to a senior living community, you may be wondering what it will be like. As much as tours and community marketing professionals show you the ins and outs of living in a community with other older adults, you may be wondering what it is really like. Will it be fun? Will you make friends? Will you experience new things?